Of course to save yourself from a pre-party meltdown, you can also buy a good rye bread from your local bakery, and if you are lucky enough to have a Hungarian Bakery or Deli nearby, even better. In a large bowl combine milk, sugar, and salt. Use a mixer to beat in molasses, butter, yeast mixture, and 1 cup of rye flour. Use a wooden spoon to mix in the remaining rye flour. Add white flour by stirring until the dough is stiff enough to knead. Knead 5 to 10 minutes, adding flour as needed. If the dough sticks to your hands or the board add more flour. Cover dough and let rise 1 to 1 1/2 hours or until double. Punch down dough and divide to form two round loaves. Let loaves rise on a greased baking sheet until double, about 1 1/2 hours. Preheat oven to 375 degrees F (190 degrees C). Bake for 30 to 35 minutes. 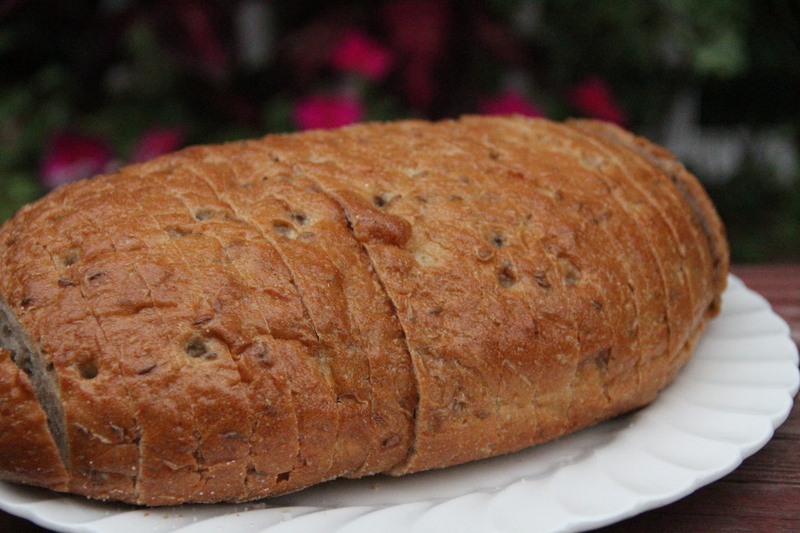 This entry was posted in Bread, Hungary, Recipe, St. Stephen's Day, Summer by Historic Hostess. Bookmark the permalink.